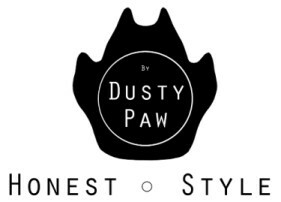 At Dusty Paw, we believe in doing things differently. It's what got us this far, and it's what caught your attention. How do we make socially conscious style? First, we hand pick the best designs from independent artists around the world. Next, we create high quality, organic clothing to display these amazing images on. Finally, we engage fellow members of the Fair Wear Foundation (FWF) to ethically and lovingly craft every single t-shirt. We work with like-minded businesses that treat their people with the respect they deserve. We choose companies who are FWF affiliated. FWF is an independent, non-profit organisation that works to improve labour conditions for textile and garment workers. But why stop there? Let’s make sure your clothes are as organic and eco-friendly as possible too. The organic cotton we source is grown without GM seeds, without harmful and polluting pesticides and with a better system of water management. The growers are paid fair prices and, to promote land protection, cotton is alternated with food crops, giving farmers more diverse income while improving food security within local communities. We also use “Tencel” as a material in our clothes. It’s a super-soft-feeling fibre made from sustainably sourced wood pulp. The fibre production is extremely eco-friendly by being economical in its use of energy and natural resources, and it’s fully biodegradable. Our couriers optimise their shipments and routes to spend as little time as possible on the road, making sure that your clothes have as small a footprint as possible by the time they reach you. We even provide easy to understand sizing information with every single product on our website to allow you to choose the one that fits perfectly, preventing the need for wasteful product returns. Where else can you support the clothing industry and independent artists, be mindful of the environment, and still end up with a high quality, awesome looking outfit at the end of such little effort? That’s our goal anyway, and if we’re not getting it right – tell us.